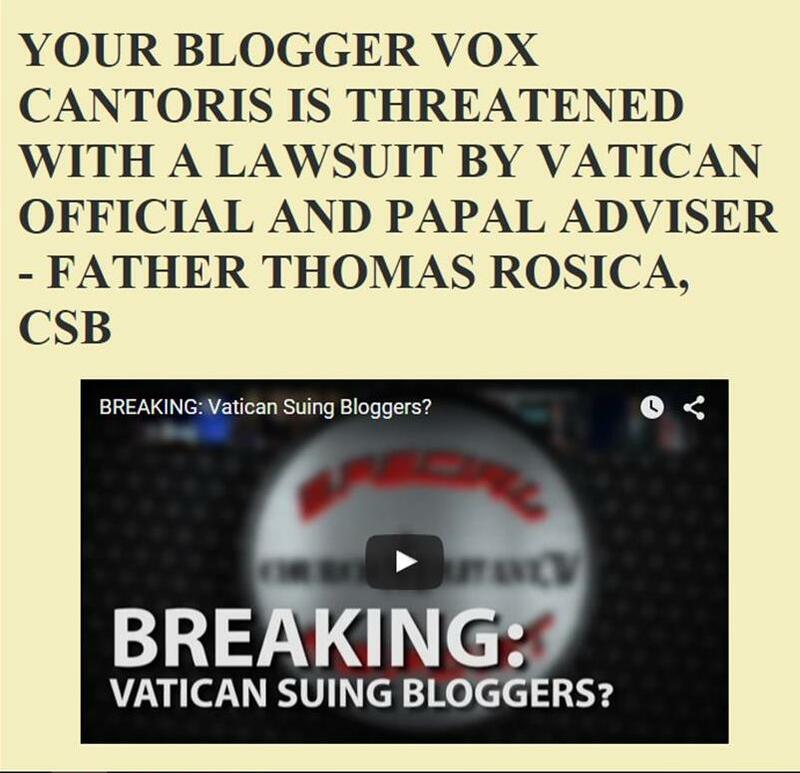 Vox Cantoris: Who was and is behind the Dictator who is Pope? Who was and is behind the Dictator who is Pope? In late 2013, the archbishop of Westminster gave an interview to the Catholic Herald in which he admitted not only to campaigning at the Conclave, but to gaining Bergoglio’s assent to be their man. Murphy O’Connor said, “We talked a little bit. I told him he had my prayers and said, in Italian: ‘Be careful.’ I was hinting, and he realised and said: “Si – capisco” – yes, I understand. He was calm. He was aware that he was probably going to be a candidate going in. Did I know he was going to be Pope? No. There were other good candidates. But I knew he would be one of the leading ones.’” The admonition to Bergoglio to “be careful” certainly seems to imply that Murphy O’Connor – and Bergoglio – knew he was at least bending the rules. Bergoglio knew. In his caution to Nicholls, "be careful" and Nicholls' "Si – capisco," they both acknowledge the conspiracy to elect Bergoglio as Bishop of Rome and they, at least in theory, may have already excommunicated themselves according to the Law in force by John Paul II. I repeat below my blog post giving more damning evidence of a conspiracy to elect Bergoglio and undertake a great change in the Church. Change that is not of God, but of man. Evil. Vile, Despicable. Heretical. It is of the Antichrist. Who was Cardinal McCarrick's friend and what was the role of Freemasonry in the election of Jorge Bergoglio? Theodore Cardinal McCarrick, former Archbishop of Washington during a talk at Villanova University gave the following recollection of a conversation with an "influential" Roman during the period before the Conclave which elected Jorge Bergoglio as Bishop of Rome. That was the first that I heard from people that Bergoglio would be a possibility in this election. "With the election of Pope Francis nothing will ever be the same again. With Pope Francis, nothing will be more as it was before. It is a clear choice of fraternity for a Church of dialogue, which is not contaminated by the logic and temptations of temporal power"
“A man of the poor far away from the Curia. Fraternity and the desire to dialogue were his first concrete words. Perhaps nothing in the Church will be as it was before. Our hope is that the pontificate of Francis, the Pope who 'comes from the end of the world' can mark the return to the Church-Word instead of the Church-Institution, promoting an open dialogue with the contemporary world, with believers and non-believers, following the springtime of Vatican II." "The Jesuit who is close to the least ones of history," Raffi continues, "has the great opportunity to show the world the face of a Church that must recover the announcement of a new humanity, not the weight of an institution that closes itself off in defense of its own privileges. Bergoglio knows real life and will remember the lesson of one of his favorite theologians, Romano Guardini, for whom the truth of love cannot be stopped. "The simple cross he wore on his white cassock," concludes the Grand Master of Palazzo Giustiniani, "lets us hope that a Church of the people will re-discover its capacity to dialogue with all men of good will and with Freemasonry, which, as the experience of Latin America teaches us, works for the good and progress of humanity, as shown by Bolivar, Allende and José Martí, to name only a few. This is the 'white smoke' that we expect from the Church of our times." "Dialogue, dialogue, dialogue!" This, he said, is the only way for individuals, families and societies to grow. He said fraternal relations between people and cooperation in building a more just society are not some vague utopia but the fruit of a concerted effort on the part of all, in service of the common good. The whole video can be seen here. Reading this makes staying on the straight and narrow a piece of cake! This dialogue is a creation of the fake Catholicism that triumphed at Vatican II. Romano Amero in his great work Iota Unum talks about the "anagke stenai" principle being essential for intelligent discussion "It is necessary to take a stand" while discussing issues. The endless and utterly fruitless discussionism that is conciliar dialogue is something at which Bergoglio and friends excel. When I hear or read that word "dialogue" that is a definitely signal to beware. Caveat Lector! So are we now realizing that Bergoglio is an antipope? He is trashing the Church. He is a heretic. On Life Site News there is a four-part article by author Michael OBrien who, in it, assesses well the present spiritual crisis of our time. At the end he states that 'staying at our post' as humble and good Catholics is what is called for. Yes that is true. But the time is now upon us where soon the Sacred Liturgy will be invalidated and the precious Body and Blood of Jesus will no longer be welcome in the 'nu church'. At that time, the true followers of the Living Jesus, will need to flee to the desert as predicted in the Book of Revelation. We are watching these events unfold before our eyes. Mass will be in homes and other places adn each of us will have to choose either Jesus or the false church. Since it apparently pleases Almighty God to allow all present human efforts to fail in respect of recovering the Church for Christ the King perhaps it is time to show our Faith in our King and Eucharistic Lord to deliver His Bride. It only takes one cardinal, one bishop, or one priest to offer such a public Mass. 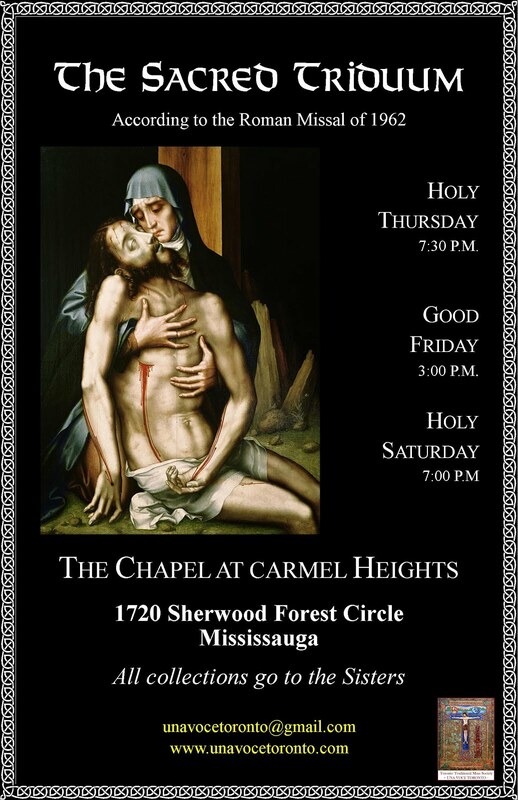 Perhaps someone knows a willing priest who would put such an intention in the parish bulletin or newsletter? This despicable creature "Teddy" McCarrick is a notorious homosexual, part of the same circle of apostate perverts as "Wuerl the Girl." It's no wonder that Bergoglio has surrounded himself with homosexuals: they were responsible for his election! Oh my! Thanks for the information. Dear Barbara, Every thing you predict is true - but it has already happened. Those faithful Catholics in the desert are called sedevacantists. Yes!!! The "pope" is a mason. He wears the satanic pallium. He is the "patriarch of the world" - a member of the "third luciferian trinity".